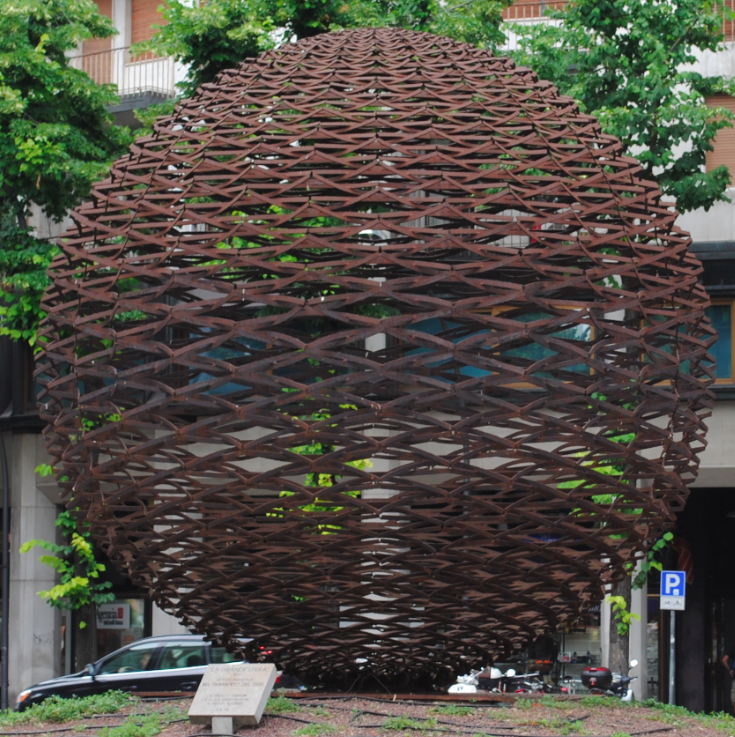 Located on Via Roma in Treviso is the sculpted sphere called La Grande Sfera – Large Ball. The sculpture is the work of the 20th century Italian sculptor Toni Benetton. Assembled on site in 1975, the sculpted sphere is constructed from modules of steel welded together.